Embark on a journey covering the best that pop culture has to offer. 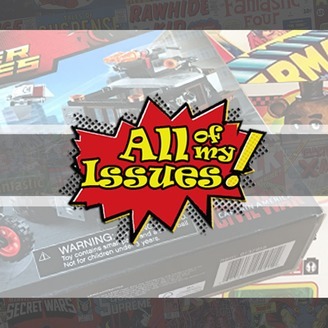 Join Rick, Sam and Chris as they discuss “All of Their Issues” in podcast form. 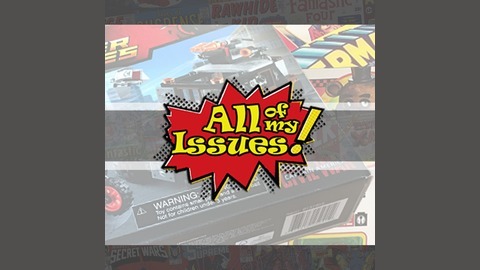 The topics will include comic books, movies, TV and various other media that they find interesting. Listen in and find out what they like, dislike, or simply tolerate. At times, they will chat with some of the creators involved in making the stuff we love. What are you waiting for? Start listening now! This episode has some of our usual news highlights and commentary, but it also has something new. We have a special guest joining us, and they are joining us for a very specific reason. They’ve come to talk Game of Thrones! We recorded this episode prior to the release of the first episode of the last season. Give this episode a listen and see if we were right about any of our predictions!